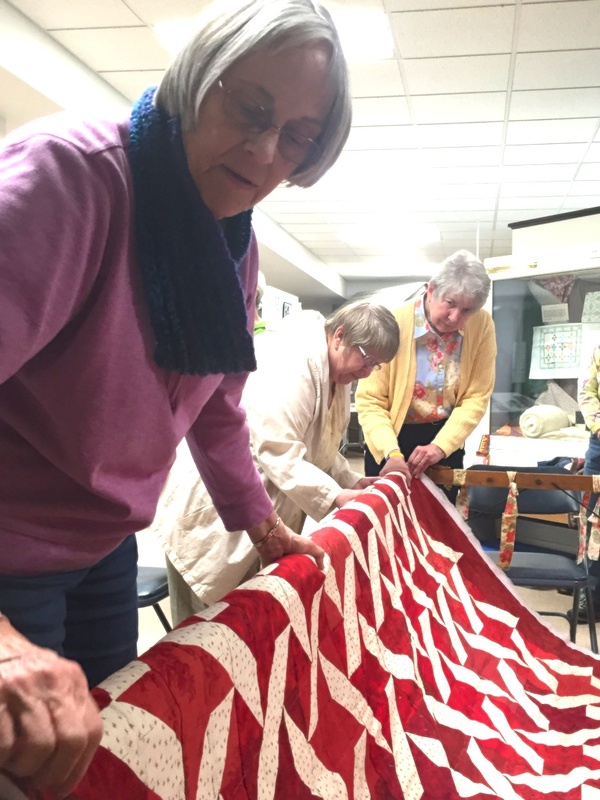 About 20 people volunteered their time to baste the 2016 quilt, Threads of Friendship, at the museum the morning of March 30. 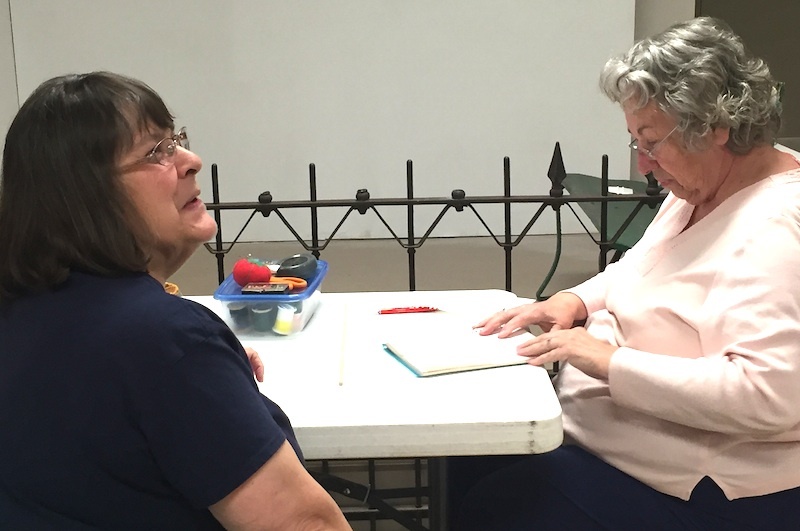 Afterward volunteers shared conversation and laughs over a potluck. 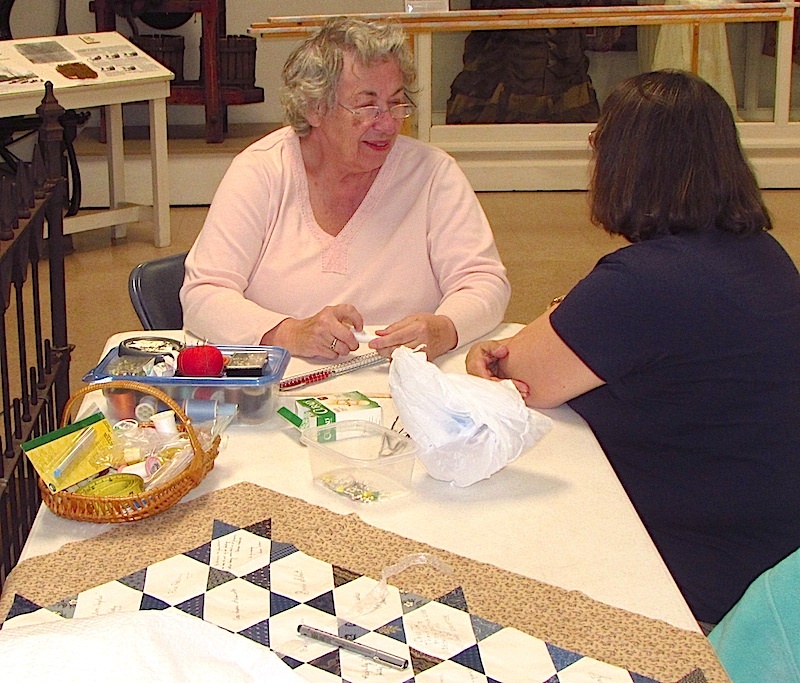 Nearly 40 quilters attended the Jan. 13 Cutting Day at the McHenry County Historical Society Museum – receiving detailed instructions from Arlen Bird and Sue Stanek on a nine-patch, Friendship Star set in a ribbon variation for 2017. 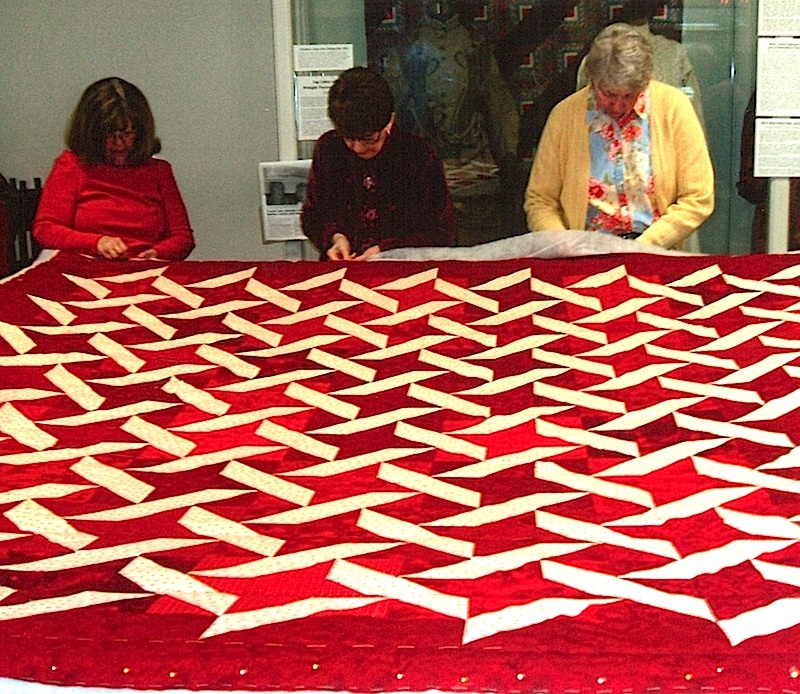 The quilt uses cream and turkey red, and features 64 blocks. The 2017 quilt is dedicated to veteran quilter Holly Scott.